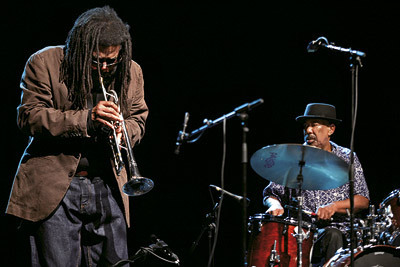 2012 has been a stellar year in the life and career of composer/educator/trumpeter Wadada Leo Smith. Actually, the last decade had been mighty impressive, what with commissions, awards and numerous impressive recordings with various ensembles. Here's the latest, an announcement that "The Fromm Music Foundation at Harvard University has selected trumpeter/composer/musical innovator Wadada Leo Smith as one of fourteen composers to receive a 2012 Fromm commission." "With the commission, Smith will write a new work to commemorate the 50th anniversary of the March on Washington and Dr. Martin Luther King, Jr.'s "I Have a Dream" speech. Tentatively titled "The March on Washington D.C. - August 28, 1963," this will be the 22nd composition in Smith's highly acclaimed civil rights opus Ten Freedom Summers, which the trumpeter has written over the past 34 years and calls "one of my life's defining works." The new work - composed for Smith's Golden Quartet, along with string quartet and harp - will premiere on the final evening of a three-night performance of the complete "Ten Freedom Summers" collection at Roulette in Brooklyn, New York on May 1 - 3, 2013." 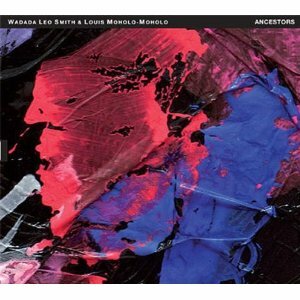 Another factor in this stellar 2012 is the release of "Ancestors", a duo recording with drum master Louis Moholo-Moholo released on the Finnish TUM Records label. One might expect that Messrs. Smith and Moholo-Moholo would create an Africa-centric performance, filled with rhythmic excitement, not unlike the classic "Mu" recordings of Don Cherry and Ed Blackwell. Yes, that music is honored here but this wide-ranging dialogue covers a wide swath of territory. And, one can hear Moholo-Moholo is a drummer in the Blackwell style, a musician who "conversed" with his bandmates on record and on the bandstand. He does not pound away nor attempt to drown out the trumpet - instead, the 9 tracks display how 2 individual voices work together to create a coherent statement. The opening 4 tracks are dedications to the drummer and James Baldwin (composed by Smith), a duo composition honoring artist Jackson Pollock and the drummer's piece for his father Siholaro Moholo. such as Chris McGregor, Jack DeJohnette, Art Blakey, Max Roach, Miriam Makeba and others. "Ancestors" shines brightly, a sensuous, thrilling and emotional musical adventure that warms the heart while it stimulates the mind. Thanks go to both musicians and the fine people at TUM Records who brought this project to life. For more information, go to tumrecords.com. Firehouse 12, 45 Crown Street in New Haven, continues its impressive Fall 2012 Concert Series on Friday November 16 with the Donny McCaslin Quartet. The tenor saxophonist/composer, whose recent Greenleaf CD "Casting for Gravity" is one of the strongest of his career, is bringing a group that includes Fima Ephron (bass), Connecticut native Kevin Hays (piano, keyboards) and Nate Wood (drums). 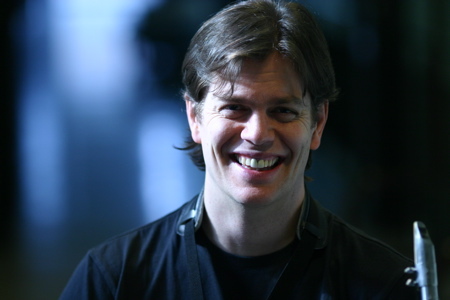 McCaslin is also known for his work with the Maria Schneider Orchestra, Mingus Dynasty and the Dave Douglas Quintet. Over the past decade, he has developed into one of the more recognizable and reliable voices in creative music. The group will play 2 sets - 8:30 and 10 p.m. - call 203-785-0468 or go to firehouse12.com for reservations and more information. To hear music from the new CD (and more), go to www.greenleafmusic.com. 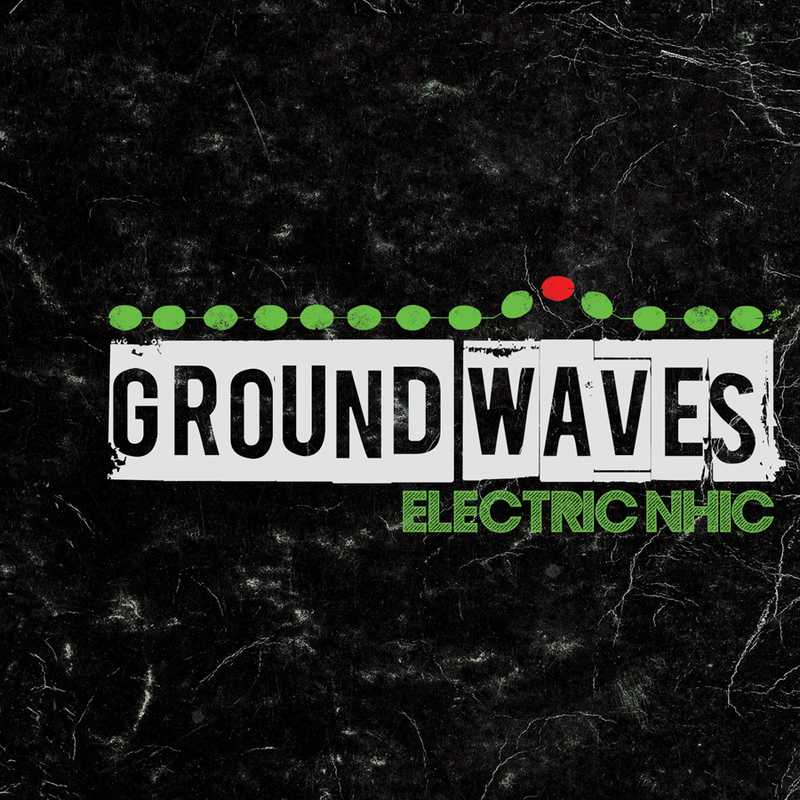 Nils Winther of SteepleChase Productions has started a new subsidiary of his productive main label. 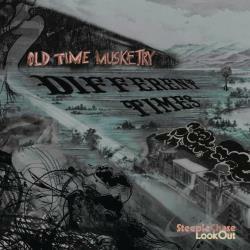 SteepleChase/LookOut's initial release features the Brooklyn, New York-based quartet Old Time Musketry; their debut is titled "Different Times" and features 9 tracks, 4 composed by keyboard player JP Schlegelmilch, 4 by saxophonist/clarinetist Adam Schneit and a group arrangement of Henry Cowell's "Anger Dance", a piece originally for solo piano. The band, rounded out by bassist Phil Rowan and drummer Max Goldman, plays Americana music with a jazz twist, with influences from New Orleans (the raucous "Parade"), Charles Ives ("Cadets"), folk ballads ("Hope for Something More", which sounds like a piece by The Band) and the high-energy, "free jazz" take on the Cowell piece. There are moments, especially on the opening "Star Insignia", that remind me of the music Jeremy Udden has created for his "Plainville" project but OTM is more energetic and quite playful. To my mind, the most exciting music looks back yet continually moves forward. "Different Times" does just that and more; Old Time Musketry makes joyful music filled with strong melodies and fine solos. To find out more, go to oldtimemusketry.com. 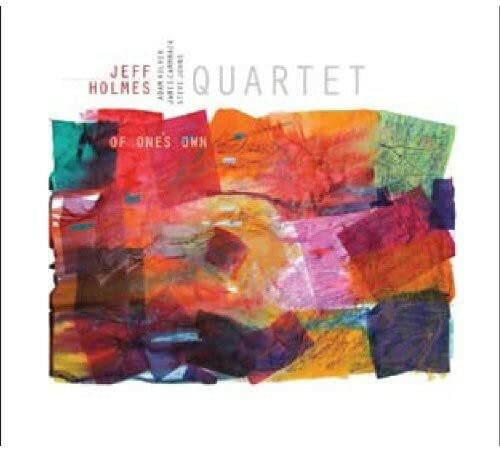 I only wished I had been listening to "Of One's Own", the new CD by the Jeff Holmes Quartet (Miles High Records) during the weeks right before the Presidential election. The music is joyous, uplifting, supremely melodic, well-played and puts a wide smile on my face, setting my mind at ease. Holmes is a Professor of Music and Director of Jazz & African-American Music Studies at the University of Massachusetts at Amherst - if you go to his University webpage, you'll see a picture of him holding a trumpet, the instrument he plays in the New England Jazz Ensemble and the classical outfit Solid Brass. He's also the drummer in the Amherst Jazz Orchestra. His Quartet features Adam Kolker (tenor and soprano saxophones, bass clarinet), James Cammack (bass) and Steve Johns (drums) - the surprise here is that Professor Holmes is featured exclusively on piano and he's quite the player. While these 9 songs are filled with fine solos from all involved, what stands out for me is the emphasis on melody all the way through, from the 5 originals to the covers to the lovely "Waltz #3", a work by the pianist's brother Toby Holmes. The wonderful arrangement of Nat Simon's quite recognizable melody "Poinciana" is so intelligent (great bass clarinet work from Kolker) and there's a catchy take of guitarist John Abercrombie's "Labour Day" (from his 1988 "Getting There" CD - Holmes recorded a version with the New England Jazz Ensemble.) Drummer Johns (who I saw a number of times backing bassist Mario Pavone in the 1990s) shines brightly, whether pushing the beat on "Macaroons" (a Holmes original that reflects the influence of the Keith Jarrett/Jan Garbarek band from the 1970s) or swinging with glee on "So Long, Farewell." Cammack, long time associate of pianist Ahmad Jamal, is the foundation on which all the others swing. Kolker never overplays; his gentle tenor saxophone work on "The Senses Delight" has such emotional depth while his soprano sax dances with abandon on the Abercrombie tune. His bass clarinet weaves in and out of the piano lines like a dancer on "One for C.J." I am certainly not a doctor but, if I were, my patients would be prescribed "Of One's Own" as a panacea for what ails you. This splendid CD definitely worked wonders for me. For more information, go to www.jwholmesmusic.com. This past Friday (11/03), Firehouse 12, 45 Crown Street in New Haven, was dark due to the cancellation of the Fred van Hove/Lou Grassi concert. The performance space/ recording studio is back in action this week (11/09) with a performance featuring pianist/composer Michele Rosewoman and her Time in Textures Trio. A native of Oakland, CA, Ms. Rosewoman has been active on the creative music scene for over 25 years. With her blend of complex rhythmic patterns and exciting melodies (plus very smart arrangements), her music has excited audiences around the world. This new group matches her piano with acoustic guitarist Liberty Ellman (Henry Threadgill's Zooid) and percussionist /Wesleyan University graduate Tyshawn Sorey (Fieldwork). They'll play 2 sets - 8:30 and 10 p.m. - you can make a reservation by going to firehouse12.com or calling 203-785-0468. You can find out more about the pianist and hear examples of her music by going to www.michelerosewoman.com. This Saturday (11/10), Mr. Bakir will hold a "CD Release Concert" at 7:30 p.m. in the intimate performance space of The Buttonwood Tree, 605 Main Street in Middletown. Joining him will be pianist Jen Allen, bassist Matt Dwonszyk and the fine young drummer Cemre Dogan. Like Bakir, Dogan is a native of Turkey - he's been in Connecticut for the last decade, taking up the trap set as a freshman in high school. He's an integral member of the guitarist's Trio. For concert information, go to www.buttonwood.org - to find out more about Sinan Bakir, go to www.sinanbakir.com. Canadian-born tenor saxophonist/composer Michael Blake has been a resident of New York City for the past 2 &1/2 decades but his music has always been global in its vision. He's recorded music inspired by Vietnam ("Kingdom of Champa"), blues/rock (2 releases with the group Slow Poke), saxophonist Lucky Thompson and much more. He can play with fire or grace, he can roar and he can whisper; his music is never dull. "In the Grand Scheme of Things" (Songlines Records) features his Canadian group of JP Carter (trumpet, electronics), Chris Gestrin (Fender Rhodes, miniMoog synthesizer) and Dylan van der Schyff (drums). The music is a fascinating blend of melody, noise, clutter, swing and subtlety (often within the same track.) Take a piece like "Willie (the Lonely Cowboy)" with its scrappy trumpet noises, tolling synth bells and tenor sax/drums duet; one can hear quite a story unfold through the course of the song. "Cybermonk" bounces along on van der Schyff's snappy drums and Gestrin's walking "bass" lines while "A View of Oblivion" rises slowly on the long tones from the sax and trumpet, shimmering cymbals and minimalist Fender Rhodes. There's a ever-so-slow reading of Roy Head's 1965 mega-smash "Treat Her Right" (the arrangement is credited to Otis Redding) with a blues-drenched solo from Blake, under control but emotionally rich. There is a track called "The Searchers" and that's a good description of this band and its approach to Blake's music. Also, when you return to listen, you realize that each track is a story, has its own personality. Carter's trumpet work is often textural, Gestrin is a master at providing colors, support and direction while van der Schyff drumming is never rushed or cluttered. This music has space and the 4 musicians complement each other handsomely. Michael Blake has never seemed interested in musical fashion; "In the Grand Scheme of Things" goes its own way and does so quite well. For more information, go to www.michaelblake.net. 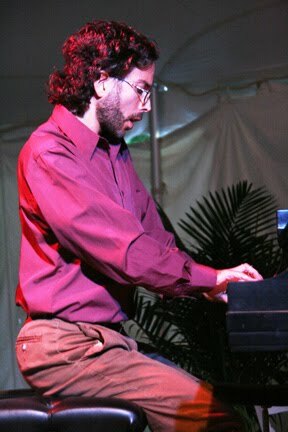 David Virelles, pianist/composer/arranger, has a fascinating new recording; it's called "Continuum" (Pi Recordings) and the music is inspired by the pianist's study of Cuban folklore, especially ritual music. Fueled by the percussion, poetry and vocals of Roman Diaz (an expert in and practitioner of Afro-Cuban music) and splendid drum work of Andrew Cyrille, this program blends short statements (9 of the 12 tracks) are under 4 minutes with several longer works that explore various facets of storytelling. With bassist Ben Street supporting the music, Virelles works in and around the percussionists, with rhythmically-charged piano figures. "Our Birthright" adds the reeds of Roman Filiu (alto and tenor saxophones) and Mark Turner (tenor saxophone, bass clarinet) plus the trumpet of Jonathan Finlayson to create a piece that has the feel of John Coltrane's "Ascension" as filtered through the Cuban experience. "Threefold" is a work for Cyrille, Street and Virelles that moves quietly forward with intelligent interaction, spurred by the pianist's lines that stop, start, then move forward. Cyrille leads the way on "Manongo Pablo", happily dancing while Virelles fills on harmonium and organ. Piano clusters and bouncing percussion drive "Royalty", Virelles' staccato left hand supporting Diaz's congas. Though "Continuum" clocks in at just under 42 minutes, the music is alluring, rewarding and worthy of exploring deeper. If you are looking for piano recording that is technically facile and filled with long solos, look elsewhere. If you are willing to be enchanted, David Virelles has created music that cries out for the concert hall where one can really lose him or her self in the journey. For more information, go to www.pirecordings.com.